It is important to have an escape plan should you ever find yourself in your home when a fire begins. Creating an escape plan and practicing it can help keep you and your family safe. Developing an easy to remember plan can help keep young children from harm. Protect your family by planning and practicing a home fire escape plan. Know two ways out from each room and agree on a meeting place outside your home so you will know everyone is out safely. Make sure your carbon monoxide alarms work. 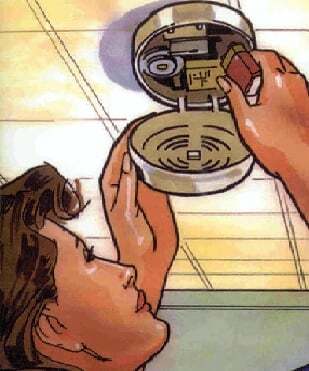 Change your smoke detector alarm battery. Change your carbon monoxide detector alarm battery. Practice your home fire escape. Do not try to fight the fire yourself. Get out and stay out. Do not try to gather personal possessions. Close the door on your way out. If smoke is present, exit as low to the ground as possible and keep your mouth covered. Call 911 once you reach a safe location. If any part of you or your clothing catches fire, do not run or try to put out the fire with your hands. Cover your face with your hands and drop to the ground and roll over and over.